LOS ANGELES--(BUSINESS WIRE)--MedMen Enterprises Inc. (“MedMen” or the “Company”) (CSE: MMEN) (OTCQB: MMNFF), a leading cultivator, producer and retailer of state-sanctioned cannabis in the U.S., announced today the hiring of David H. Dancer, a veteran marketing executive with more than 25 years of experience leading brands such as Teleflora, Charles Schwab, Visa and American Express, as its chief marketing officer. Dancer’s hiring comes at a time when MedMen is looking to expand its retail footprint in North America. Early last month, the Company announced the acquisition of Florida’s Treadwell Nursery with state licensing for 25 stores. MedMen currently operates 13 stores in marquee locations such as New York’s Fifth Avenue, Beverly Hills and Los Angeles’ Abbot Kinney district. MedMen’s first branded store in Downtown Las Vegas is scheduled to open this week, and the Company has a joint venture agreement with Canada’s Cronos Group to open stores in that country under its new adult-use program. Dancer is a recognized innovator in retail marketing, branding, e-commerce and customer experience. Prior to joining MedMen, Dancer was head of marketing for Teleflora, North America’s largest floral service provider with 10,000 member florists. He also served as a retail brand consultant for Charles Schwab, a marketing vice president at Visa and a senior marketing manager at American Express. Dancer’s hiring comes on the heels of another key marketing hire. Mike Lane, formerly vice president of product at software innovator Grindr, has joined MedMen as its chief digital officer. Lane brings more than twenty years of experience leading design and development of digital customer experiences at major brands like Live Nation, Ticketmaster, FOX Broadcasting and Adobe. With more than 800 employees and 18 licensed facilities in California, Nevada and New York, MedMen is one of the country’s fastest growing companies in the state-sanctioned cannabis industry, which is projected to reach $75 billion in annual sales by 20301, according to Wall Street investment firm Cowen. This press release contains certain “forward-looking information” within the meaning of applicable Canadian securities legislation and may also contain statements that may constitute “forward-looking statements” within the meaning of the safe harbor provisions of the United States Private Securities Litigation Reform Act of 1995. Such forward-looking information and forward-looking statements are not representative of historical facts or information or current condition, but instead represent only MedMen’s beliefs regarding future events, plans or objectives, many of which, by their nature, are inherently uncertain and outside of MedMen’s control. Generally, such forward-looking information or forward-looking statements can be identified by the use of forward-looking terminology such as “plans,” “expects” or “does not expect,” “is expected,” “budget,” “scheduled,” “estimates,” “forecasts,” “intends,” “anticipates” or “does not anticipate,” or “believes,” or variations of such words and phrases or may contain statements that certain actions, events or results “may,” “could,” “would,” “might” or “will be taken,” “will continue,” “will occur” or “will be achieved.” The forward-looking information and forward-looking statements contained herein may include, but is not limited to, information concerning the expansion of MedMen’s retail footprint, information concerning the proposed Florida acquisition and expectations regarding whether the proposed Florida acquisition will be consummated and timing of the opening of a new store in Las Vegas. By identifying such information and statements in this manner, MedMen is alerting the reader that such information and statements are subject to known and unknown risks, uncertainties and other factors that may cause the actual results, level of activity, performance or achievements of MedMen to be materially different from those expressed or implied by such information and statements. In addition, in connection with the forward-looking information and forward-looking statements contained in this press release, MedMen has made certain assumptions. Among the key factors that could cause actual results to differ materially from those projected in the forward-looking information and statements are the following: the ability to consummate the proposed Florida acquisition; the ability to obtain requisite regulatory approvals and third party consents and the satisfaction of other conditions to the consummation of the proposed Florida acquisition on the proposed terms and schedule; the potential impact of the announcement or consummation of the proposed Florida acquisition on relationships, including with regulatory bodies, employees, suppliers, customers and competitors; and the diversion of management time on the proposed acquisition. Should one or more of these risks, uncertainties or other factors materialize, or should assumptions underlying the forward-looking information or statements prove incorrect, actual results may vary materially from those described herein as intended, planned, anticipated, believed, estimated or expected. 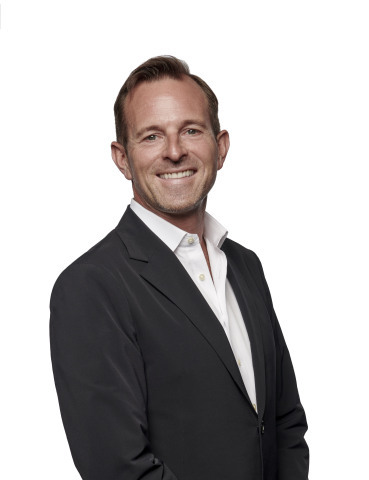 MedMen announced today the hiring of David Dancer as its chief marketing officer.